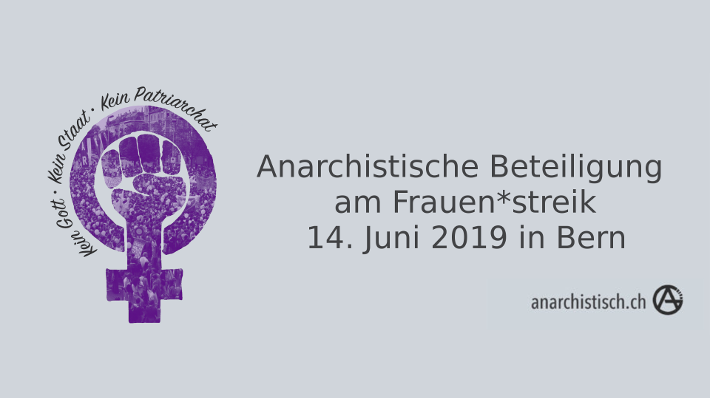 On June 14, 2019, women will go on strike throughout Switzerland. Based on the women strike in 1991 and in solidarity with women’s movements all over the world, there will also be a day of diverse protest in Bern. Leaders of the world’s nation-states are now gathering in Davos, Switzerland for the World Economic Forum. 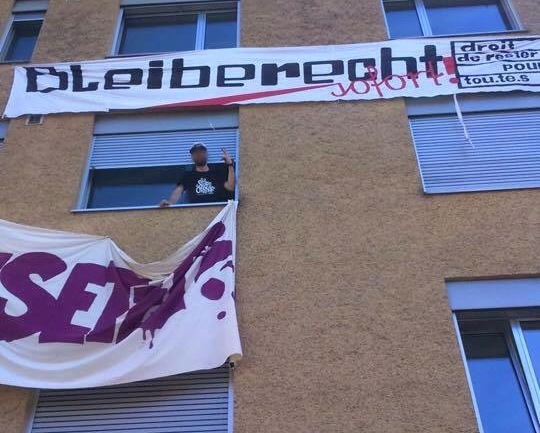 On Friday, 24 June 2016 there was a small, but wild demonstration against racism, repression, and gentrification in Basel, Switzerland that attacked various buildings and the police. 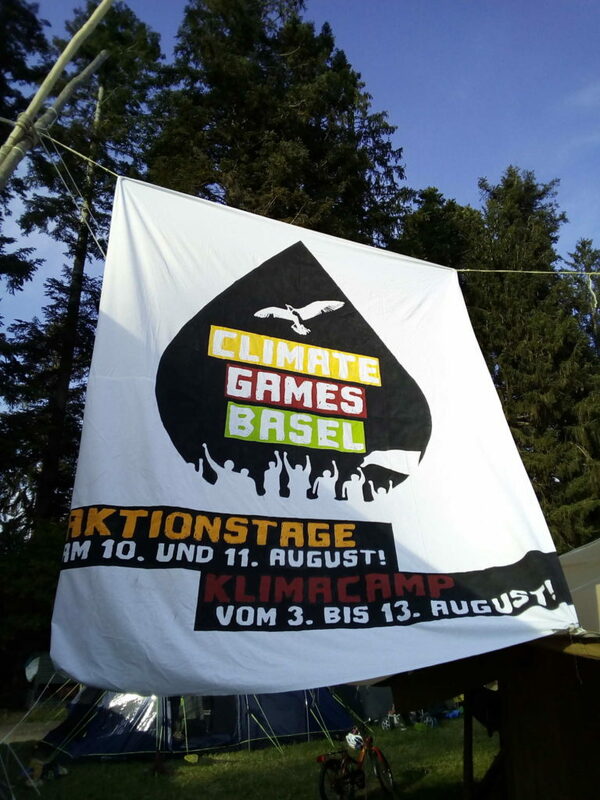 From the Second Swiss Climate Camp happening at Illuminox festival outside of Bern. Solidarity for both Hambacher Forest and UPIII on the frontline of resistance against global fossil fools climate chaos. One of over eight now annual large klimate convergences and mass actions taking place just across Europe comes multiplicity of issues from oil, nuclear, refugees so connected to climae break down, animal and feed industry, fracking and other disaster scenarios going hand in hand with false solutions of business as ussual profit based regimes. 1000 people in anti-racist demonstration in Zurich, Switzerland on Saturday. Communiqué of the demonstration against the militarization of the European external borders, 14.7.2018. 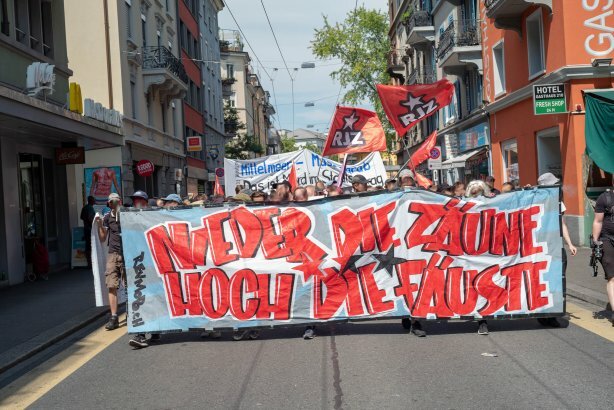 Continue reading #Zuerich #NoBorders: Down with the fences, fists up! 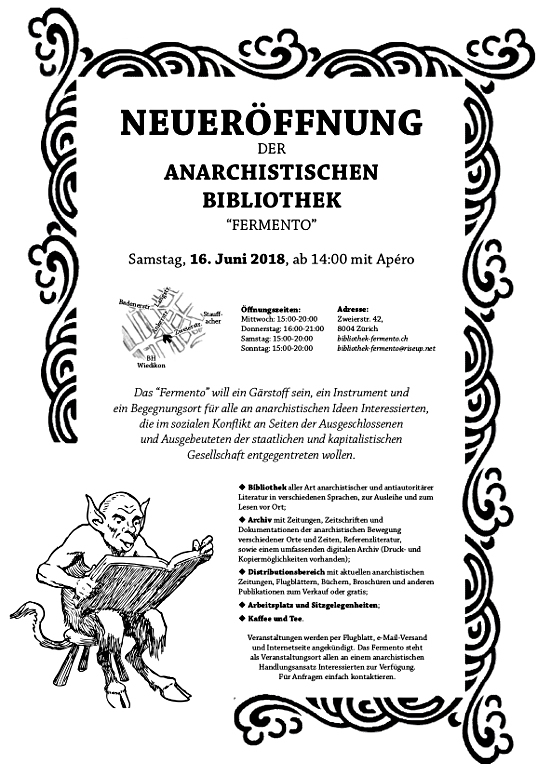 The anarchist library Femento in Zurich, Switzerland will be reopened at June 16, 2018. 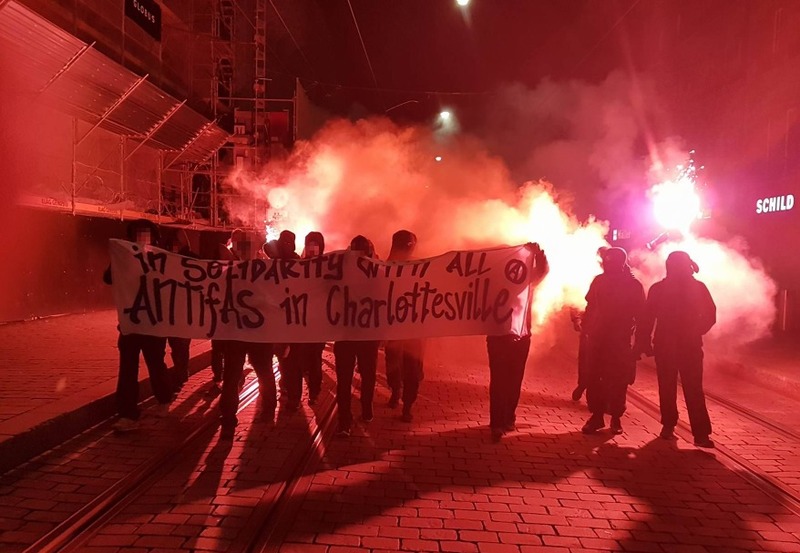 A few hours after the fascist murder in Charlottesville, Virginia (USA, there were many solidarity demonstrations across the world. One of them took place in Bern, Switzerland. 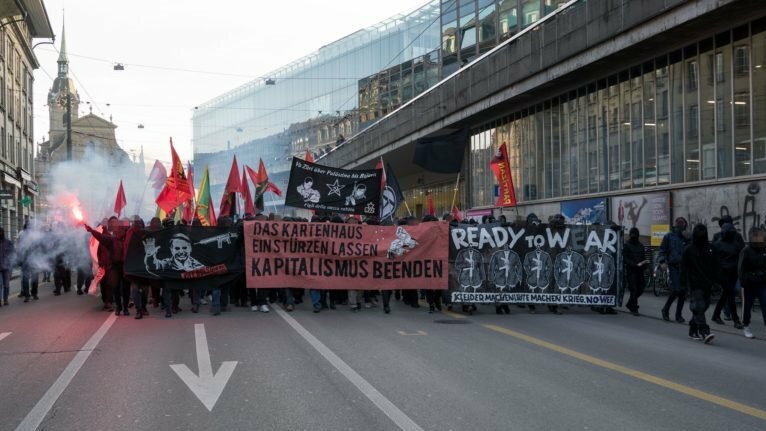 In Hamburg and Bern people took the streets yesterday in solidarity with NoG20 prisoners and people who got injured during last weeks NoG20 protests. 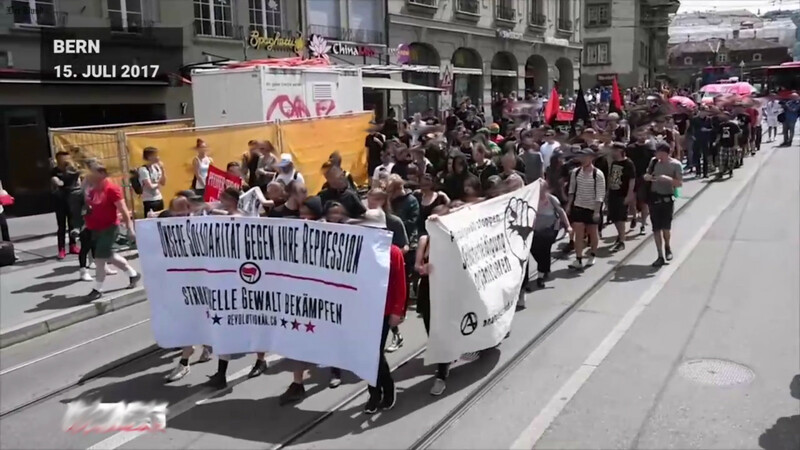 Image: Solidarity demo in Bern, Switzerland on July 15th. 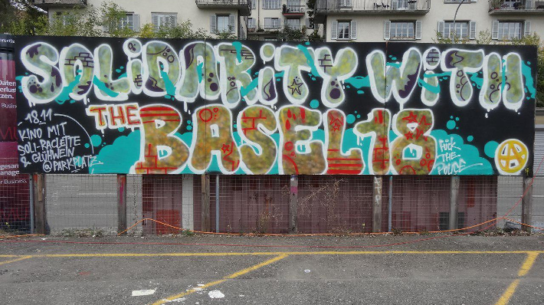 In Switzerland, refugees are often isolated and housed in old fall-out bunkers all over the country. There is, of course, no sunlight and people are exposed to constant harassment by the authorities. Frida Frey spoke to one of thirteen illegalised refugees who took into consideration, that for them to get out and be part of society is more important than complying with what the state tells them to do. He doesn’t want to be called by his real name, he prefers to be called by «something simple, like ‘illegalised refuge’ or ‘refuge activist’». In March 2017, they decided to move into a derelict house in central Zurich that is owned by Credit Suisse Group AG.